new! - Robot Comedy - Funny Robot Videos and Pictures (or at least silly). 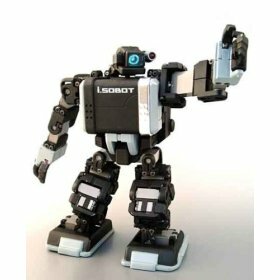 Robots Directory (Category) - Robots listed by category: dinosaur robots, humanoid robots, spy robots, etc. Watch me control a Rovio spy robot over the web using just my thoughts and my face! First is the Discovery Channel Store's Snap Rover Deluxe. 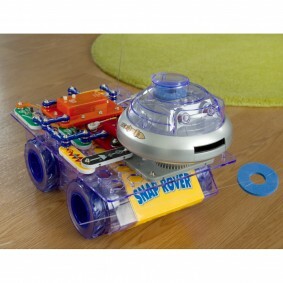 This is a really fun snap together toy robot rover that is great for youngsters. You build different projects with the pieces and once assembled, you perform entertaining missions with it. For example, one configuration is an infrared based obstacle avoidance rover, another is a line following rover, etc. This item normally sells for $110 but Discovery has slashed the price to $14.99 for an 86% discount! 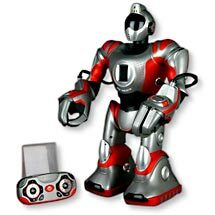 I'm not sure how long this one will last at this price but that's a heck of a deal on an educational toy robot for those 8 years and older. The original video for this combat spider robot originally generated over 2 million views on YouTube and no wonder. It's a remote controlled spider robot that fires small discs at other Attacknids and when a disc hits the opponent's armor pieces it flies off! Note, the armor pieces are easy to re-attach for the next round of fun. This is a guaranteed smile maker for young and old since they can be used in classic multi-player battles. They're also a surefire way to annoy or entertain your pets but please don't aim the discs directly at Spot or Kitty! They are available from Amazon/UK. USA and other residents will have to order them overseas from Amazon/UK since I can't seem to find them anywhere else. Check out the video to see these crazy combat spiderbots in action. 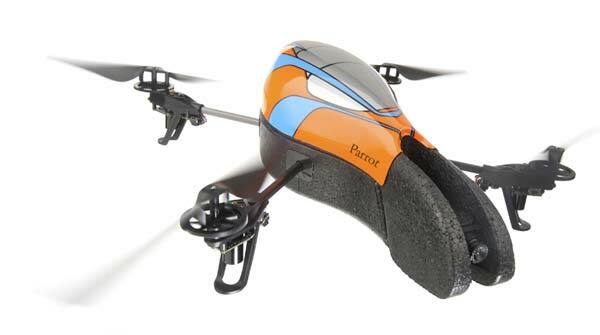 The hottest robot of the year is your very own easy to fly airborne spy! With two cameras beaming high quality video back to your iPhone, iPod Touch, or iPad and the best self-righting capabilities you have ever seen in a flying copter, plus the ability to overlay the video stream with fun crazy augmented reality graphics, you�ll be fulfilling your dream of remote viewing and flying in minutes! Check out the full details now and make sure you watch the video! 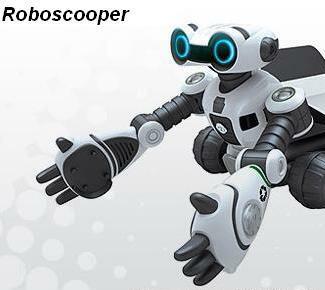 Meet WowWee�s answer to Wall-E.
Roboscooper is a funny little recycling robot that likes to pick up objects he detects with sensors in his hands. He picks them up and then tosses them into his carrying bay, or knocks them about with his hands. - USA. Amazon has Rovio for a drastically reduced prices! 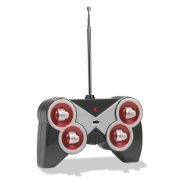 Rovio is the mobile spy robot that you use to monitor your home remotely from virtually anywhere in the world you have an Web connection and a web browser. With it�s TruTrack(tm) navigation technology, it can even follow pre-programmed paths you create and return home to its dock to charge autonomously, without any help from you! HOT! : Femisapien, the female dancing robot for $40 USD and the comical Wrex The Dawg robot for $40 USD too (free shipping for both)! The first ever hands-on review of WowWee�s Lightstar. See our video of this brand new flying blade from WowWee that is a miniature light show all by itself when you turn out the lights. Make sure you watch our video too! Lightstar - A tiny flying miniature light show! 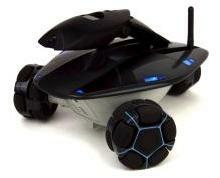 Roborover - Meet the first WowWee robot that has tank style treads, plays games, explores and more! 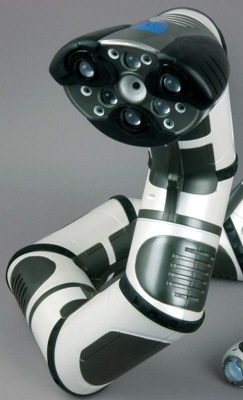 Spyball - A rolling camera that transforms back and forth from ball to Internet web cam for the ultimate home spying! Cinemin Micro Projectors - WowWee�s awesome tiny portable video projectors that fit in your hand that uses high end DLP projection technology from Texas Instruments. Roborover is now available! Click here now to Be first in line to get this hot new robot! 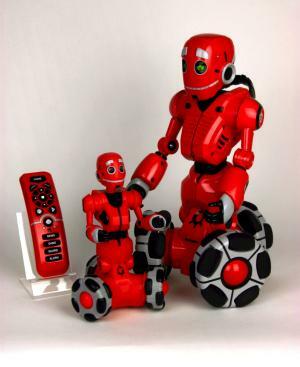 i-SOBOT, the amazing tiny humanoid robot! 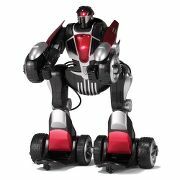 Only 6 inches tall with over 176 programmed and programmable moves! Elmo Live is an interactive joke and story telling robot and is now available to order! He stands, sits, and waves his hands about as he tells funny stories about his life and other things. Don�t miss out on getting one of the hottest robots this year like many of you did when the Elmo TMX (Tickle Me Elmo) came out. Stores are already limiting quantities per customer. 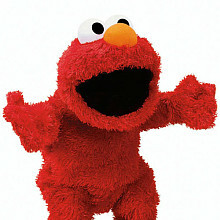 Click here now to read about, see pictures of, and watch amazing videos of the hottest Elmo robot ever! Detailed Unboxing article now posted that gives you sharp close-up photos of the Rovio, it�s packaging, accessories and more with fresh new info on this hot Spy bot. Click Here to read the WowWee Rovio : Unboxing article now. 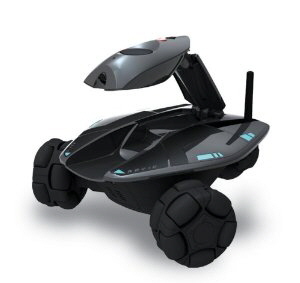 Also, Rovio mobile spy robot is now available for pre-order in the USA! Pre-order Rovio now, quantities are limited and this is going to be the robot of the year! Watch video of your own home from anywhere in the world while the the Rovio mobile spy robot patrols your home automatically for you while your away. Change routes remotely with it�s easy to use graphical interface at any time. Pre-orders are being taken now for the year�s hottest consumer robot! Read our thorough and detailed hands-on Femisapien review. Watch the accompanying Femisapien video review too and learn everything you want to know about this revolutionary new agile robot. We love this robot (we have 3)! Then when you�re done, for a bit of fun, Watch Femisapien, also known as E.M.A. The Kissing Robot, in her very first music video ever! See her show off her wicked dancing skills in �Robot Girl�, a parody of Aqua�s famous song �Barbie Girl�. HOT! Forget those stale Transformers action figures, get the real robot car that turns in to a truck or a towering robot at the flick of a switch! 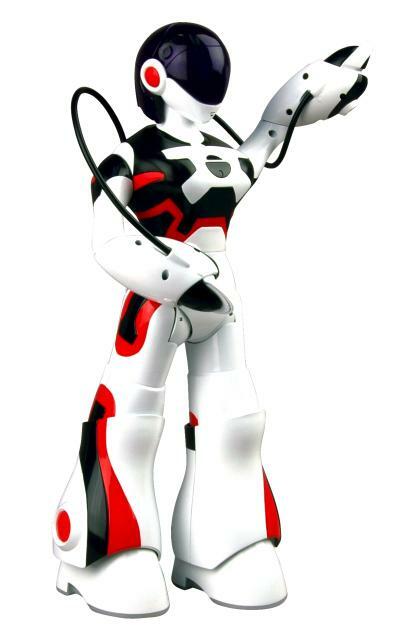 Click here now to see this wild transforming robot car. Hot and New! - The fantastic Ultimate Wall-E robot. 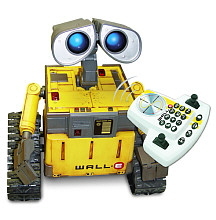 This is the robot that gives you and your family your very own intelligent Wall-E robot to have and play with. Infrared sensors detect obstacles so Wall-E can navigate around them, sound sensors detect your voice so he can follow you and lets him react to other sounds in your house, and an innovative finger pad remote control makes moving your Wall-E buddy around easy and fun. 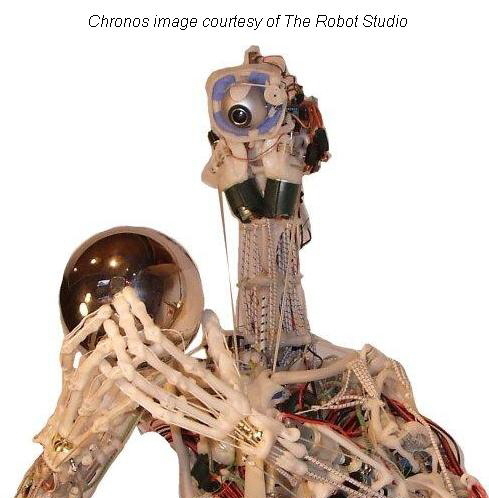 Don�t miss out on this year�s most famous robot. 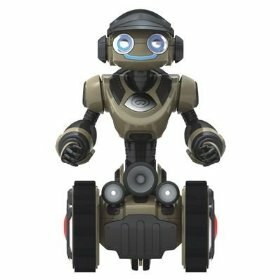 You can also read about the ultra-fun U-Command Wall-E Robot, or the Interaction Wall-E, or the iDance Wall-e Robot and MP3 player too. Hot and New! 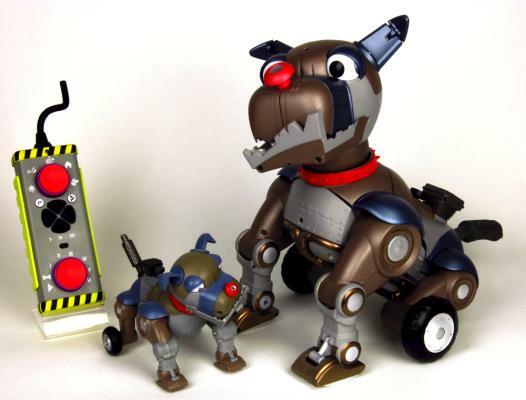 - Read our Wrex The Dawg review, that covers WowWee�s hilarious new robot. Wrex is cartoon character come to life, so follow the link and then watch the accompanying video review that shows the crafty canine in action! Hot and New! 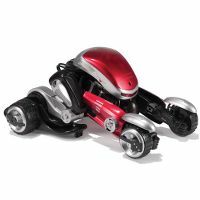 - Read our Tri-Bot review, that covers WowWee�s amazing three wheeled Tri-Bot robot, and watch the accompanying video review which show you in detail all the cool features and fun packed in this unique little guy. 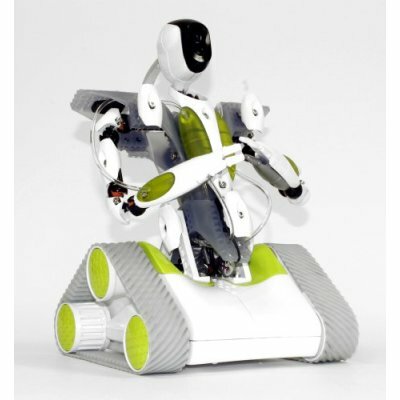 Fantastic dancing female robot with a revolutionary touch based interface! The first flying insect robot that flaps its wings like a real bug. The robot that vacuums your floors for you so you don�t have to! World�s smallest mass produced humanoid robot. Clever, agile, and fun. 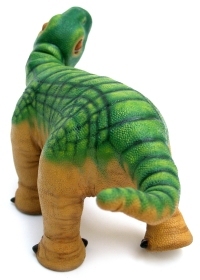 Incredibly cute and realistic baby dinosaur that evolves over time. 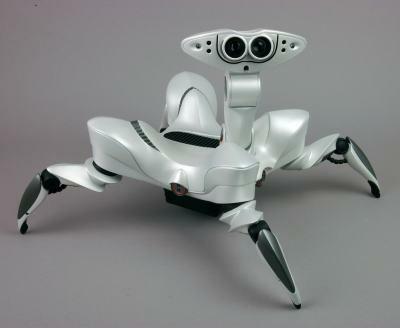 Spider robot that walks like a crab with advanced infrared scanning technology. Change the robot�s personality at will. 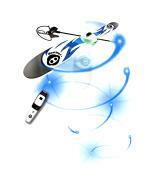 Play MP3 and games, take pictures, high quality speaker�s in his hands, create your own personality and much more. 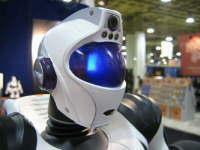 WiFi capable spy robot controllable from anywhere in the world. Game playing wise-cracking robot with amazing tri-wheel mobility. The Wall-E line of robots: iDance, U-Command, and the new Ultimate Wall-E! 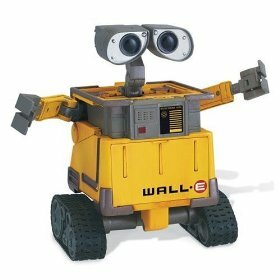 The amazing top of the line Wall-E robot. Smart, clever, and fun! A cartoon character come to life! 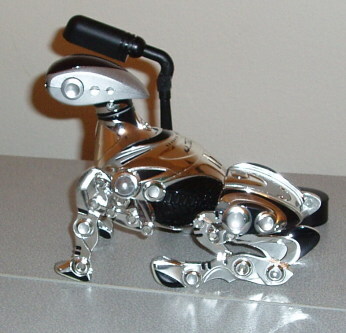 Hilarious Junkyard dog robot. Femisapien - Their first female robot ever and a hell of a dancer! Video Of My Meeting With Ugobe and Pleo! New section: Tech Toys - A place to find reviews and articles on the other toys robot owners are buying. Robot Comedy - Dancing, Singing, Acting, Crazy Robot Videos & Pictures! 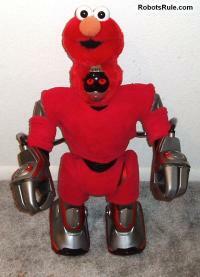 Elmosapien - Elmo is now a robot and he�s really mad! Flight Of The Wall-E Bee - a brand new Wall-E adventure. See Wall-E outrun an air to air missile! The Plunchkins - My three Pleo baby dinosaur robots singing a little tune and generally misbehaving. Robot Girl - A parody of the famous Barbie Girl song. See Femisapien crack the whip on a drunk Indiana Jones (literally)! Robot Burping Contest - The only intelligent use of robot technology! Vadersapien - Darth Vader in his own all toy robot Star Wars spoof. Evil has never been so small!